Pelican Bomb’s archive is available via Rhizome’s Webrecorder tool. 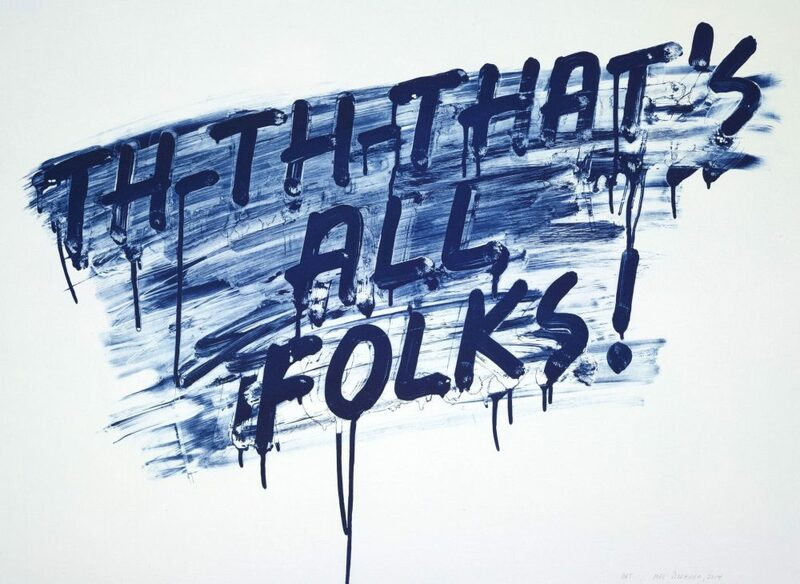 Mel Bochner, That’s All Folks!, 2014. Etching with aquatint. Image via fineartmultiple. The time has come. Since we announced last month that Pelican Bomb would end regular operations at the end of November, we’ve received an outpouring of kind words from supporters in New Orleans and across the country. We’re truly humbled and grateful. Over the past month, since stopping our coverage of art and artists in South Louisiana, we’ve given over the Art Review to exploring some of the ideas and methods that have been important to Pelican Bomb’s genesis, growth, and sunset. 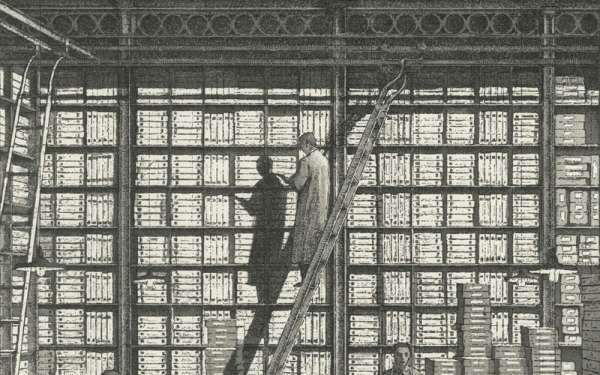 James McAnally argued for the value of arts publications outside of major metropolitan centers. Amy Mackie looked at some of the recent changes in the New Orleans art world. Our Executive Director Cameron Shaw interviewed Deana Haggag about the process of deciding to close an arts organization. And Charlie Tatum reflected on his time as Pelican Bomb’s Editorial and Communications Manager, the importance of mentorship, and finding room to grow. 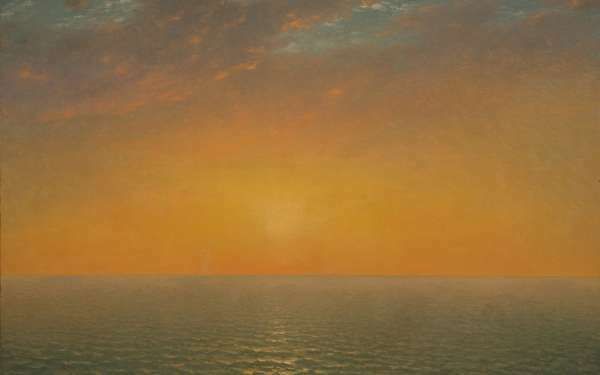 Plus, some Art Review contributors shared their hopes for art criticism in New Orleans. Our goal is that these articles can be useful for the field as others consider the ideals and realities of starting, building, and supporting arts initiatives big and small. While the Pelican Bomb website will remain online in the immediate future, we’re working hard to archive the entire website using Webrecorder, a tool created by Rhizome that preserves webpages in all their functionality. As part of our final series on the Art Review, you can also read an interview with Rhizome’s Anna Perricci about the impact of archiving digital assets. 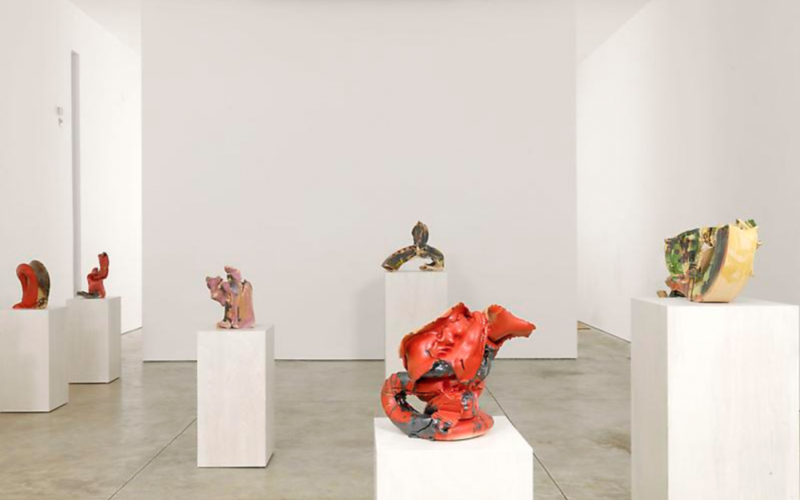 You can use Webrecorder to browse our website, as it stands today, and read Art Review articles, learn more about our past exhibitions, and check in on all our event listings since 2011. As the publication of record for contemporary art in New Orleans for nearly eight years, we wanted to make sure that this content remains accessible to all the writers and artists featured, as well as readers past, present, and future. Thank you again, and for now, that’s all folks!